Allergy advice: This product contains iron which, if taken in excess, may be harmful to very young children. Keep out of sight and reach. Food supplements must not be used as a substitute for a varied and balanced diet and a healthy lifestyle. Consult your doctor if on medication. Do not exceed the recommended daily intake. Do not use if blister seal is cut, torn or broken. Keep out of reach of children. 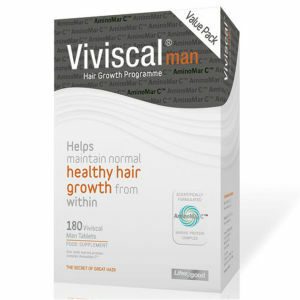 Biotin and Zinc contribute to the maintenance of normal hair.